5/2 fractional states; China’s powerful magnet; quantum communications. Using a powerful magnet, Columbia University has observed a quantum particle in a bilayer graphene material, an event referred to as a 5/2 fractional quantum state. The FQH effect describes the behavior of electrons in a system. There is a keen interest in this effect at a filling or fractional factor of 5/2. This 5/2 phase could enable a superconductor that propels a new approach to quantum computing. The 5/2 state has been observed in gallium arsenide (GaAs) heterostructures. Using a powerful magnet at the U.S.-based National High Magnetic Field Laboratory (MagLab), researchers made a 5/2 observation in a bilayer graphene material. In classical computing, the information is stored in bits, which can be either a “0” or “1”. In quantum computing, information is stored in quantum bits, or qubits, which can exist as a “0” or “1” or a combination of both. The superposition state enables a quantum computer to perform millions of calculations at once. China has completed the construction of a facility that boasts one of the world’s most powerful magnets. 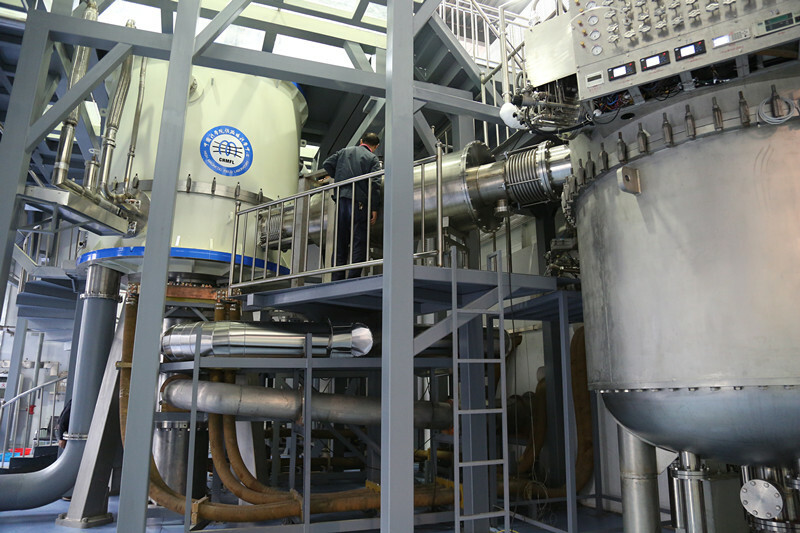 The so-called Steady High Magnetic Field Facility (SHMFF) is located in Hefei, Anhui. 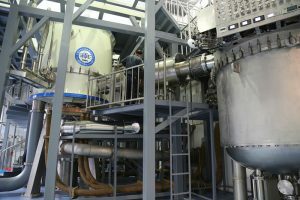 The facility is part of a group called the High Magnetic Field Laboratory of the Chinese Academy of Sciences (CHMFL). With the new facility, CHMFL has now ten magnets, six measurement systems and other equipment. The new facility also includes a 40 tesla hybrid magnet. This is the world’s second most powerful hybrid magnet, next to a 45 tesla system at U.S.-based MagLab. Tesla, or T, is the measurement of magnetic field strength. Another measurement unit is called gauss. One tesla equals 10,000 gauss. A refrigerator magnet has a field of 0.01 T or 100 gauss. The Earth’s magnetic field is about 0.5 gauss or 0.00005 tesla. An MRI scanner has a 1.5 tesla magnet. Hybrid magnets, meanwhile, combine superconducting and resistive technologies. With hybrid and other types of magnets, researchers can conduct dozens of high-field and resonance measurement techniques. China has officially launched a 2,000-kilometer quantum fiber link that connects Beijing and Shanghai, a technology that the nation claims is impossible to hack. The space-ground quantum communications technology enables a high security network in China. It is impossible to wiretap and intercept a transmission with the technology, according to the Chinese Academy of Sciences (CAS). The ground-based link is called the Beijing-Shanghai Backbone Network (BSBN). The 2,000-km network consists of 32 relay stations, which connect the cities of Beijing, Jinan, Hefei and Shanghai. The line is also connected with a quantum satellite, enabling secure ground-to-space communications. The satellite is equipped with a decoy-state QKD transmitter, an entangled-photon source, and a quantum teleportation receiver and analyzer, according to the CAS. Traditional communication networks use public key cryptography. In contrast, quantum key distribution (QKD) uses quantum superposition states for unconditional security, according to CAS.